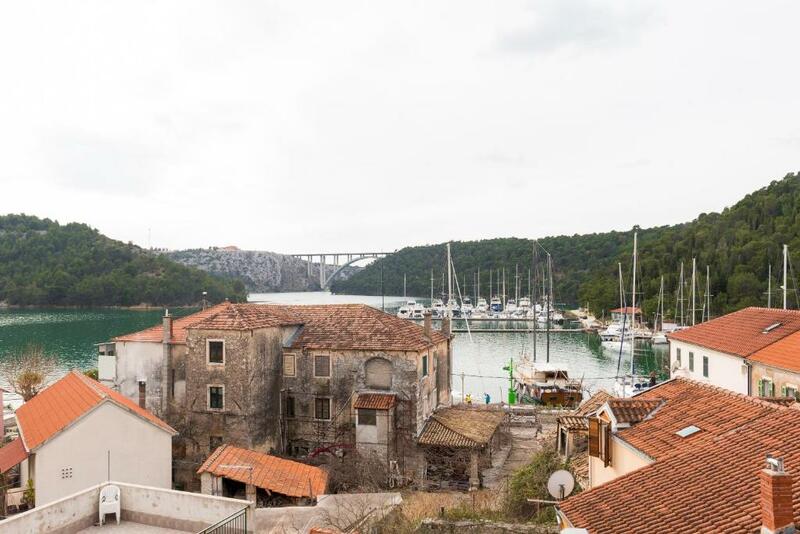 Gostje ocenili po koncu bivanja v nastanitvi Apartments Duilo. Great location and amazing view from the balcony! The apartment is clean and comfortable, has everything you need. The owner was really friendly, meeting us at the street corner and showing where to park, giving tips about supermarket nearby and even inviting us to try homemade Easter cake at checkout :) Would be happy to stay there again! The host is extremely friendly, he kindly offered us a drink on check in, and some snacks upon checking out. He also allowed us to check out later which was kind of him. This apartment is centrally located, so only a couple of minute’s walk from everything you need in town, including a bike rental or the boat to visit Krka National Park. It’s also not too far from places to park. It’s a charming town where everyone is friendly. The balcony also offers a lovely view of the marina. Our host was exceptionally gracious. Even carried our bags. When we first got there he walked with me to the car to help me locate where to park. Recommended excellent restaurant. Best view on harbour. Friendly wellcome. Wonderfull scandavian style interior design. The landlord gave us tasty but unknown fruits. We stayed one day longer than initially plannned because we liked the apartment so much. The place is nice, its location perfect. The boat to national park was a 2 minute walk, and the host allowed us to leave the car while we were away. There are some shops nearby. Incredible location and the apartment itself was very authentic with a very comfortable bed, and lovely owners. Good and quiet location, the owner of the apartment was really helpful and friendly. The apartment was clean, had a nice kitchen and a big bedroom. Owners father cared for us..pick up drop off to bus station..lives next door..a delight. Apt is in centre of village. Good kitchen tought konzum supermarket limited food items. Adjoining balcony seating gives harbor views. Apt is 200m ealk from bus station. 50m from Krka NP info office. It was the last stop on our Croatian trip and we were happy to have ended our trip here. The host gave us a warm welcome. It was a real pleasure to talk to him. The apartment was recently renovated and looks much beter than on photos. VERY, VERY comfortable beds. Spotlessly clean. All in all it was a great experience and we would recommend it to everyone. Thank you for your hospitality. Fantastic room. Super air con. Outside deck was also great. 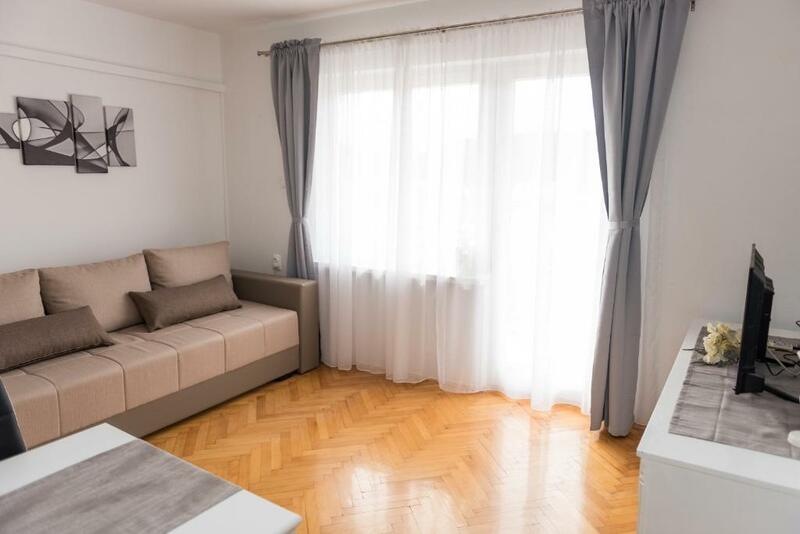 Zagotovite si odlično ceno v nastanitvi Apartments Duilo - gostje so ji podali oceno 9,3. Eden naših prodajnih hitov v mestu Skradin! 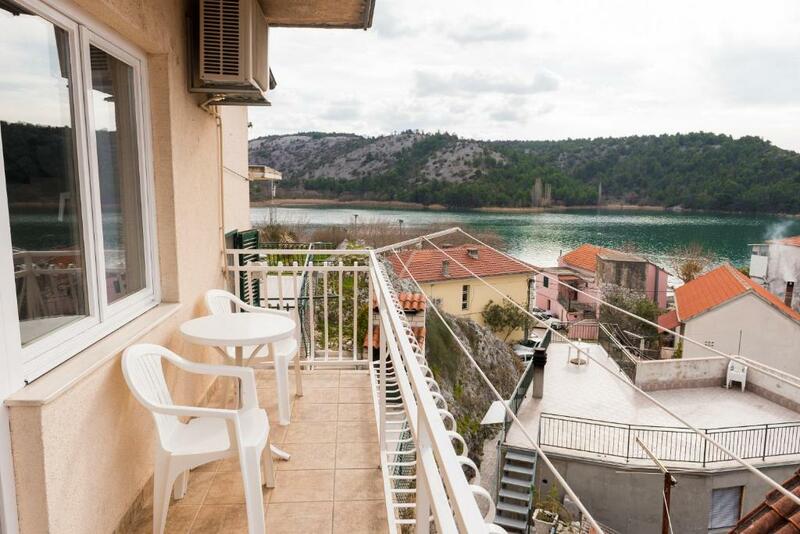 Apartments Duilo offers self-catering accommodation in Skradin. 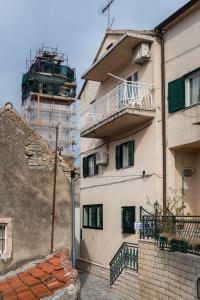 Trogir is 43 km from the property. The accommodation is equipped with a seating area. There is also a dining area and a kitchen fitted with a microwave. A refrigerator and stovetop are also offered, as well as a coffee machine. Towels and bed linen are featured. In the vicinity of Apartments Duilo guests will find a beach and a shop. 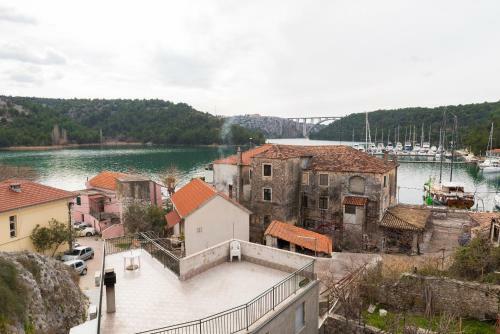 Šibenik is 10 km from Apartments Duilo, while Zadar can be reached in 76 km. 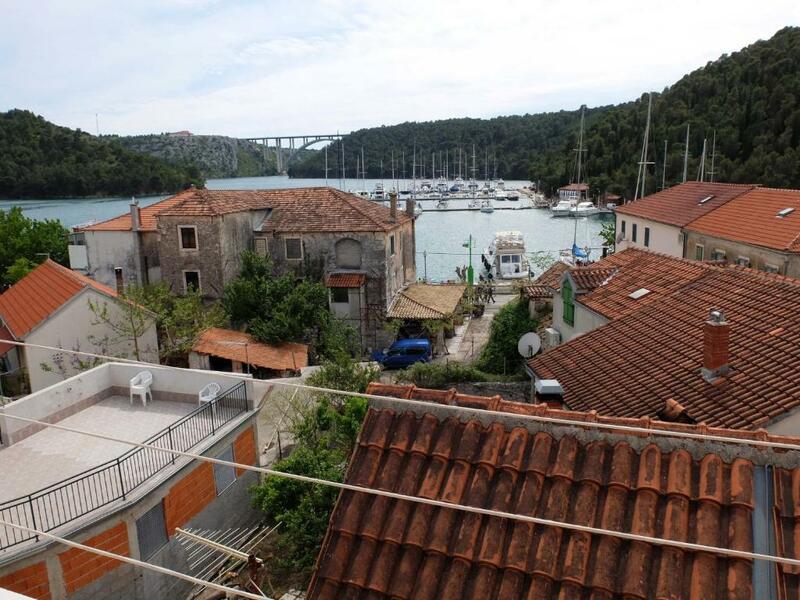 The nearest airport is Split Airport, 43 km from the property. 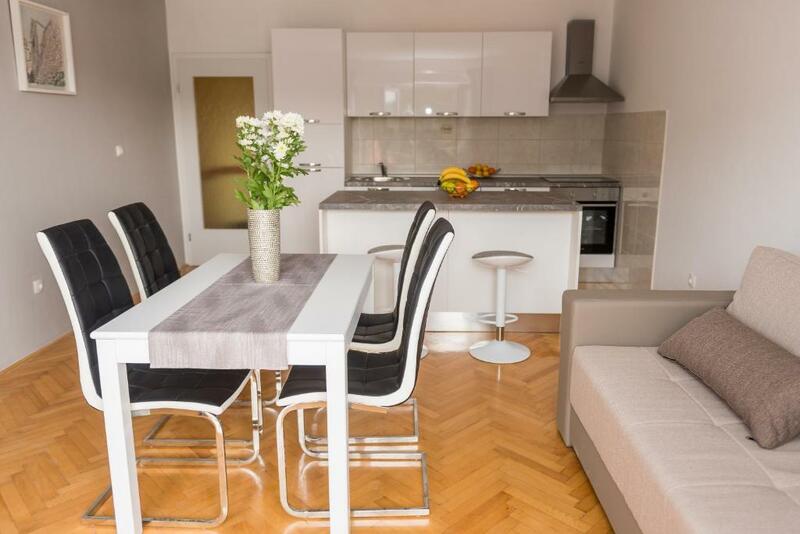 Apartments Duilo gosti Booking.com uporabnike že od 25. maj. 2015. 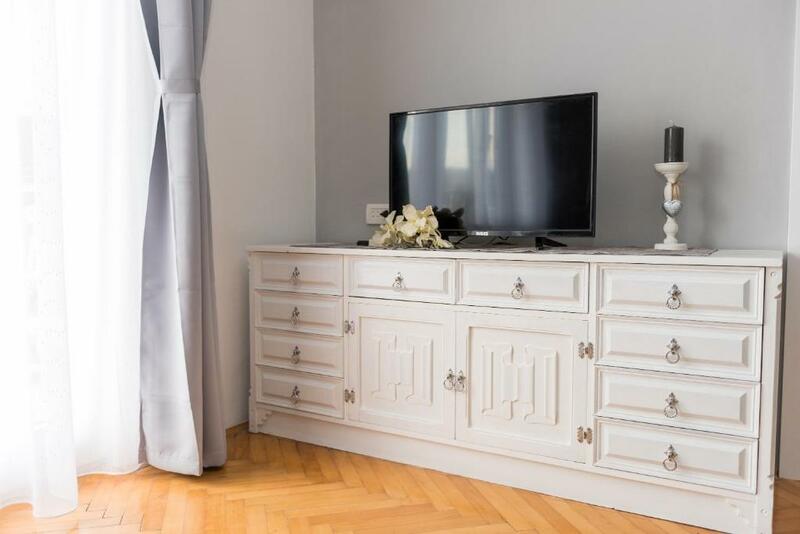 Kdaj želite prenočiti v nastanitvi: Apartments Duilo? This studio features a tea/coffee maker, private entrance and dining area. This split level apartment features a terrace with sea views, a tea/coffee maker, air conditioning and kitchen. 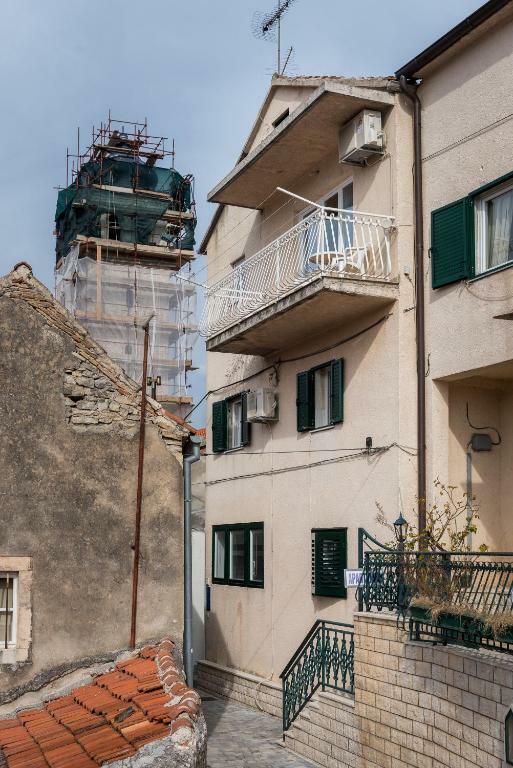 Hišni red Apartments Duilo sprejema posebne zahteve - dodajte jih v naslednjem koraku! Nastanitev Apartments Duilo vnaprej obvestite o predvidenem času prihoda. To lahko med rezervacijo vpišete v okence za posebne zahteve ali pa kontaktirate nastanitev. Kontaktni podatki so na voljo v potrditvi rezervacije.